The weather gods clearly bow to royalty in Rajasthan’s Lake City. After a sweltering day, the evening turned marvellously cool even under the storm of lighting that highlighted the facade of The City Palace Museum and its environs. Guests received a right royal welcome to Manek Chowk, by liveried horsemen and live musicians that trumpeted each entrance. The red carpet was strewn with white petals on either side, champagne flowed and all that remained was for the First family to arrive, which they did, soon enough. Hosted by The City Palace of Udaipur, the Fateh Prakash Palace — HRH Group of Hotels, Cox & Kings, the Champagne-Ardenne tourism board and Atout France, the event celebrated the official twinning of Udaipur’s magnificent City Palace and the Château de Chambord in France and heralded the annual Goût de France global event, where restaurants worldwide serve specially designed French menus. 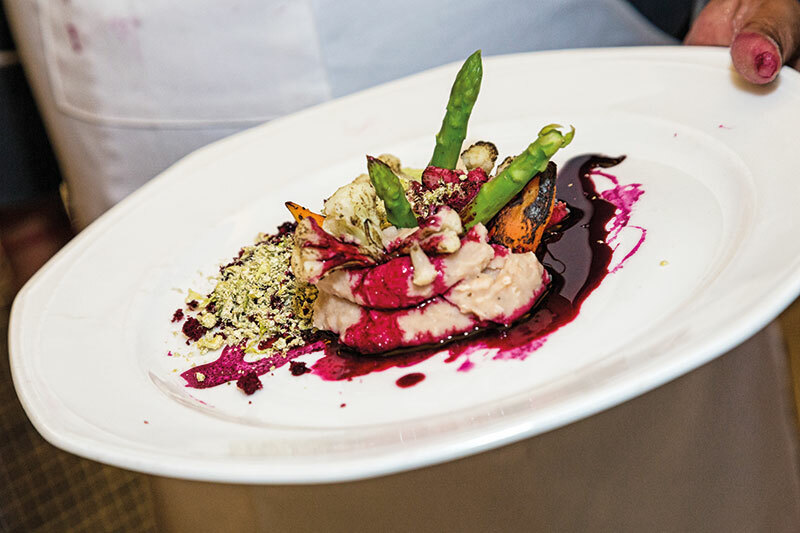 It was fitting then that this soiree presented gastronomy through a menu curated by Chef Eric Geoffroy from the Champagne region. This was paired with exquisite brut and rose champagnes by Laurent-Perrier that was represented by Jean-Christian de la Chevalerie. Delectable wines from Burgundy, Bordeaux and the Rhône Valley, hand-picked by oenophile Vishal Kadakia, of Wine Park added to the heady mix. 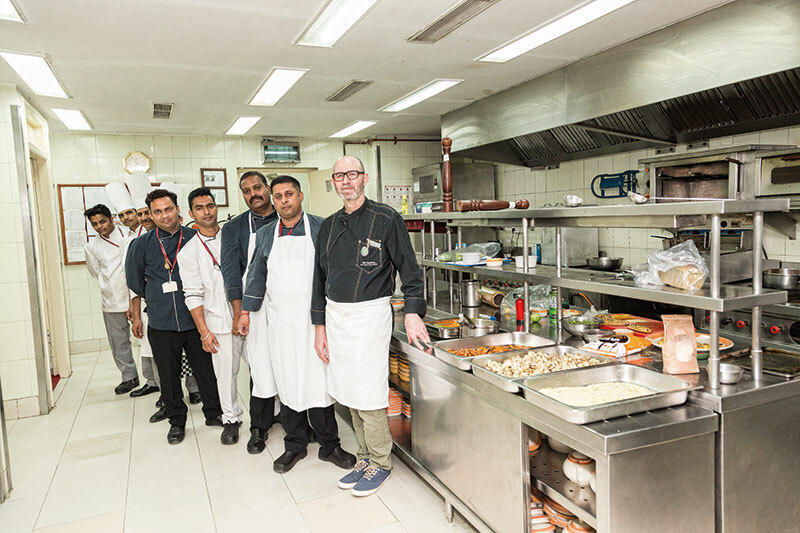 The evening also unveiled Atout France and Cox & King’s specially handcrafted Masterchef gastronomy lookbook highlighting the succinct flavours of French food in its different regions. 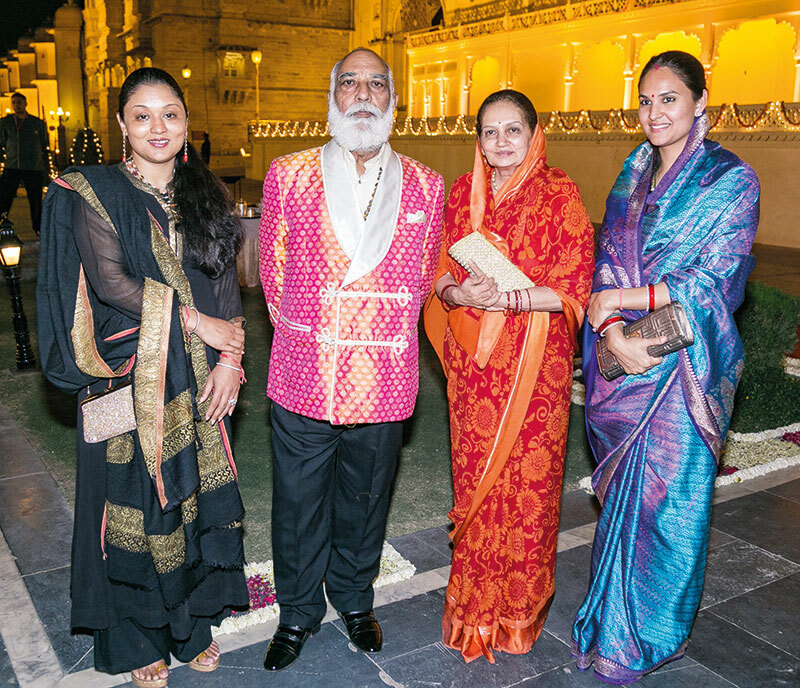 Arvind Singh Mewar, Sriji to all, was resplendent in his handsome brocade jacket and graceful indeed to all his guests. 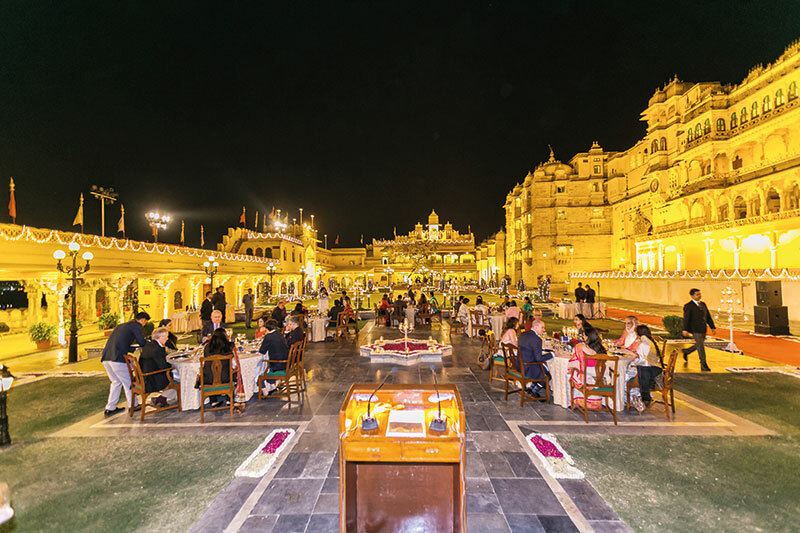 Each table, covered with a white tablecloth and set with flowers, beautiful central chandelier and sparkling cutlery, was graced by a member of the royal family of Mewar. We had vivacious daughter-in-law Nivritti Kumari Mewar heading ours. 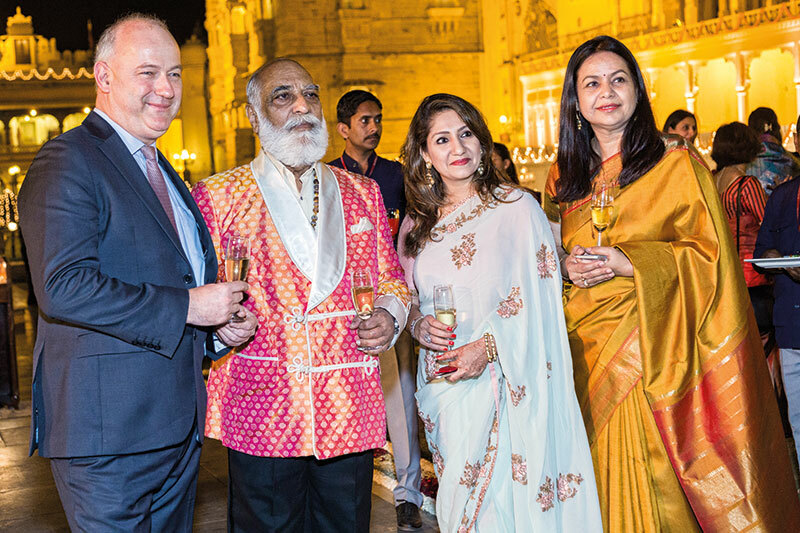 The conversation buzzed around royalty, Sriji’s constant efforts to preserve his heritage, wine and terroir and all things bespoke. The cuisine was unusual; light in the increasingly preferred style of contemporary French food, and the dessert with its central, steamed egg became a talking point for some time after — dividing those who appreciated its ingenuity from those who clearly and vociferously did not. 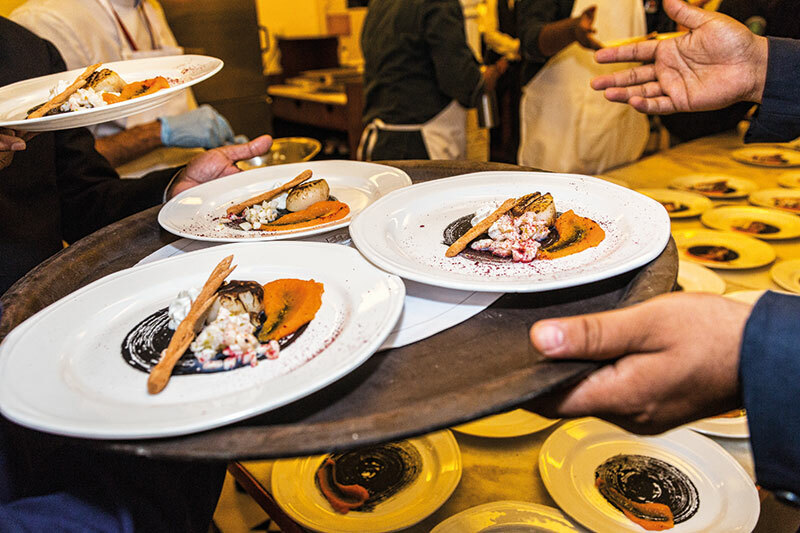 Chef Geoffroy had pointed out that he had been struck particularly by the colours of India and that his plating reflected this, coupled with a play of texture and the finest ingredients. Earlier, at the Fateh Prakash Palace, pointing to the shimmering Lake Pichola, he had declared, “I am definitely returning!” A thought that found easy resonance in all our minds and hearts.